Local governments to be notified if fire-susceptible construction method is used in residential structures. Albany, NY - September 17, 2014 - Governor Andrew M. Cuomo today signed legislation (A1896/S6675) that requires property owners to notify their local governments whenever a newly constructed or rehabilitated residential structure is comprised of a truss type, pre-engineered wood or timber construction. While this construction method is safe for normal use, it can also become fragile and collapse with little or no warning when exposed to fire. This required notification process will allow local governments to provide fire departments and first responder organizations with information about buildings that employ this particular construction design. Truss type, pre-engineered wood or timber construction is often undetectable without advanced notice, and there have been multiple occasions in recent years where first responders were injured or killed while responding to fires in buildings that utilize this particular construction method and ultimately collapsed. Under the law signed today by the Governor, property owners outside of New York City must indicate on a building permit application if this construction method is being used, in addition to affixing a sign or symbol to an electrical box on the building’s exterior. After being notified by a homeowner of the presence of this particular construction method, local governments must also inform the relevant first responders, including the local fire department, district or company, the county fire coordinator, local 911 and emergency dispatchers. The law takes effect on January 1, 2015. 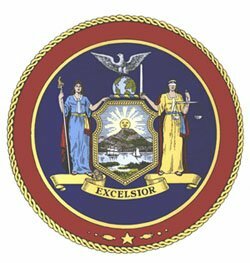 Subject: LongIsland.com - Your Name sent you Article details of "Governor Cuomo Signs Legislation to Protect First Responders"